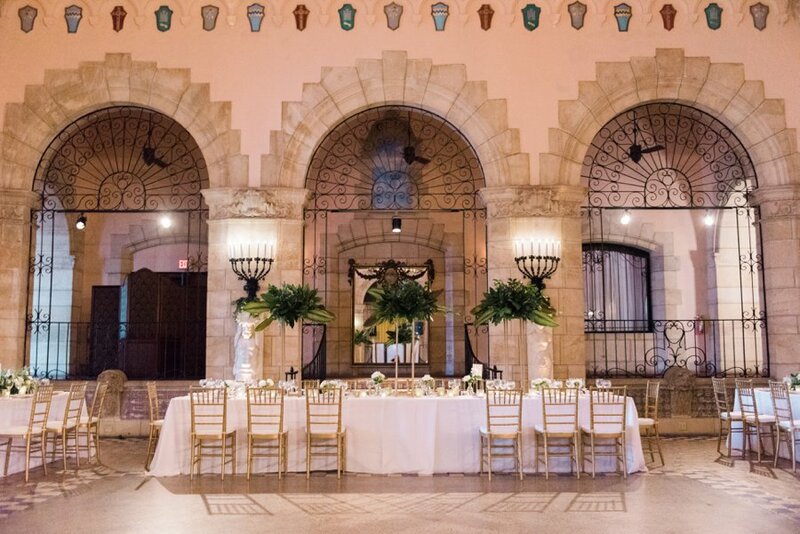 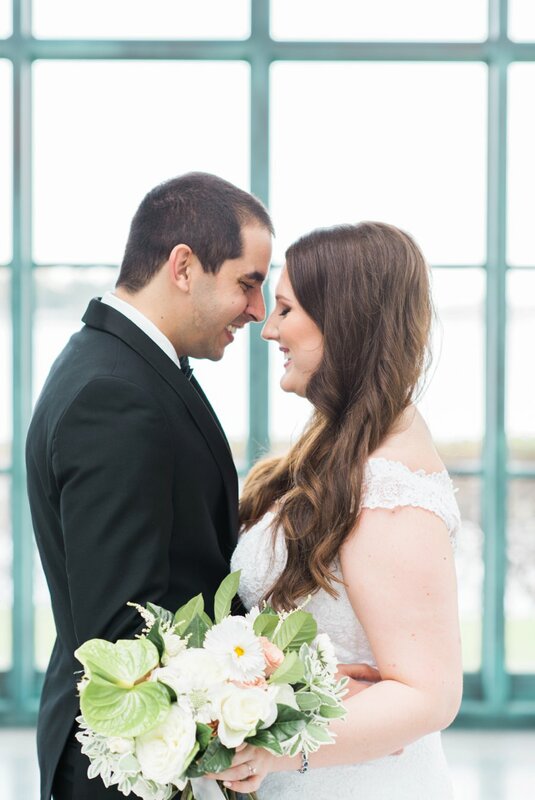 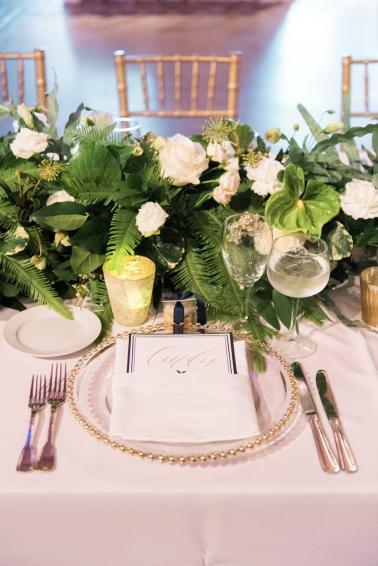 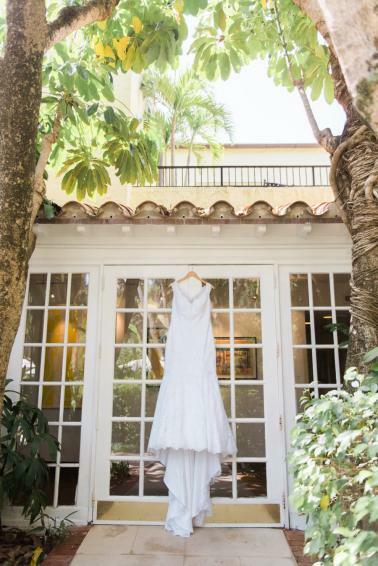 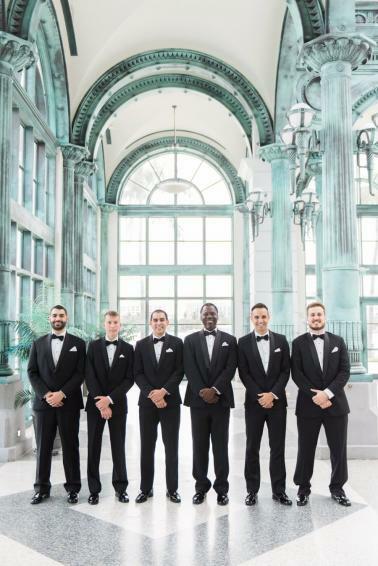 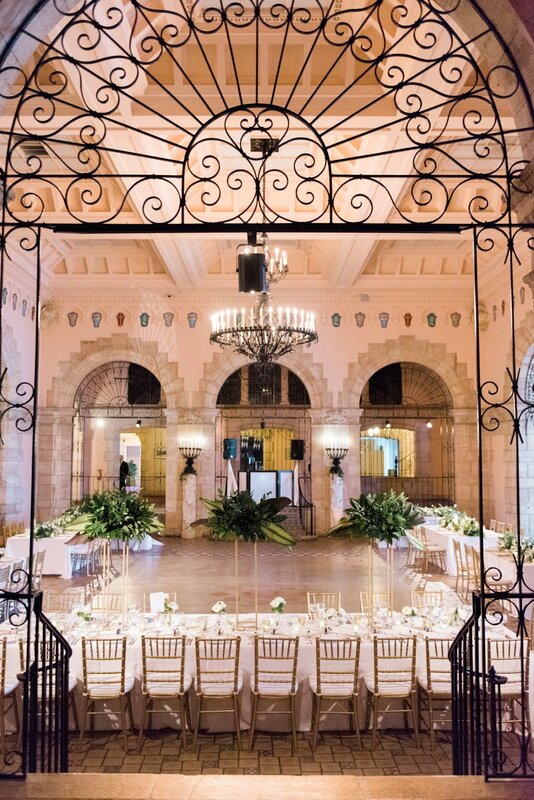 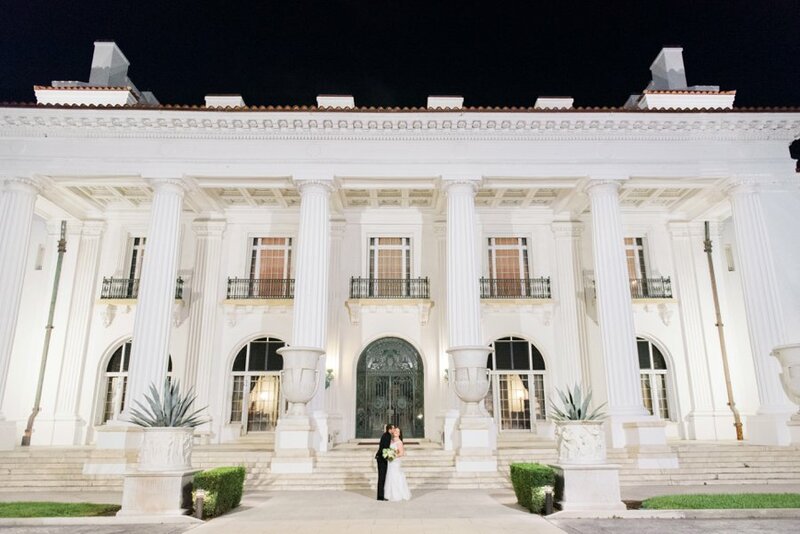 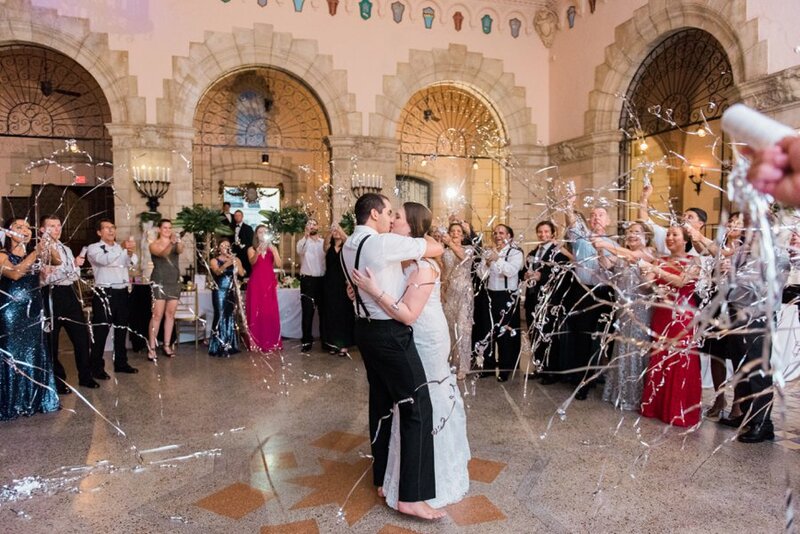 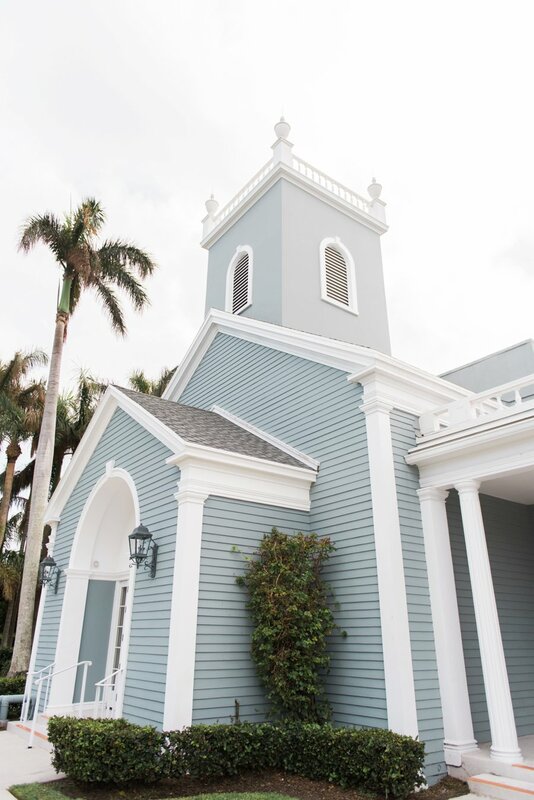 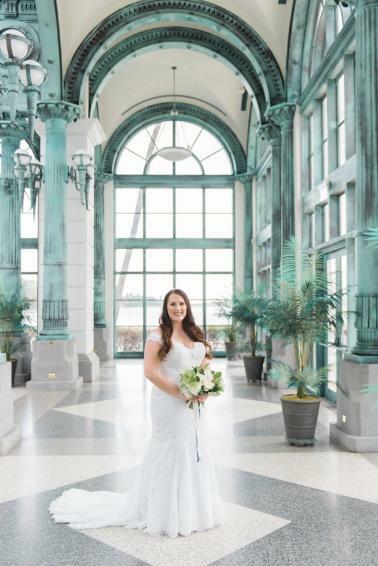 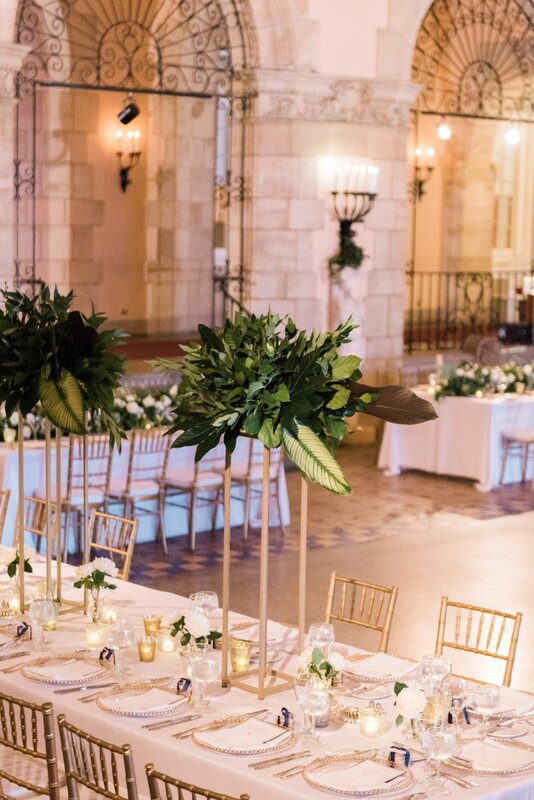 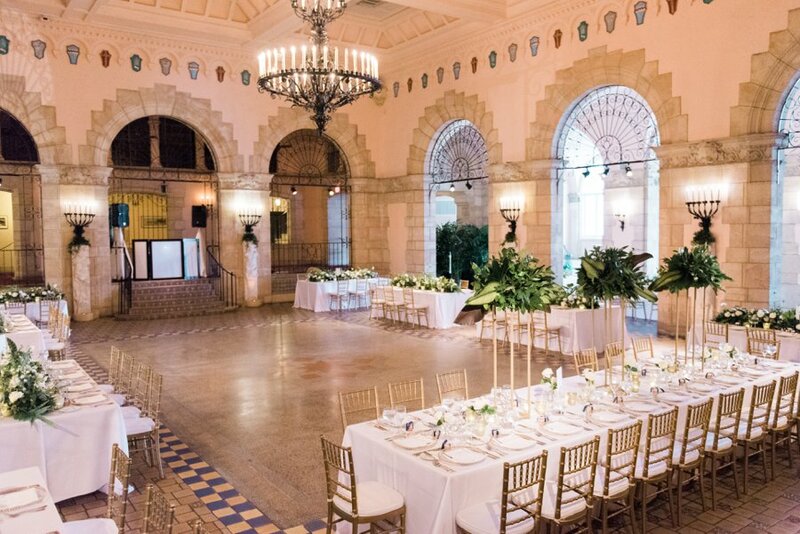 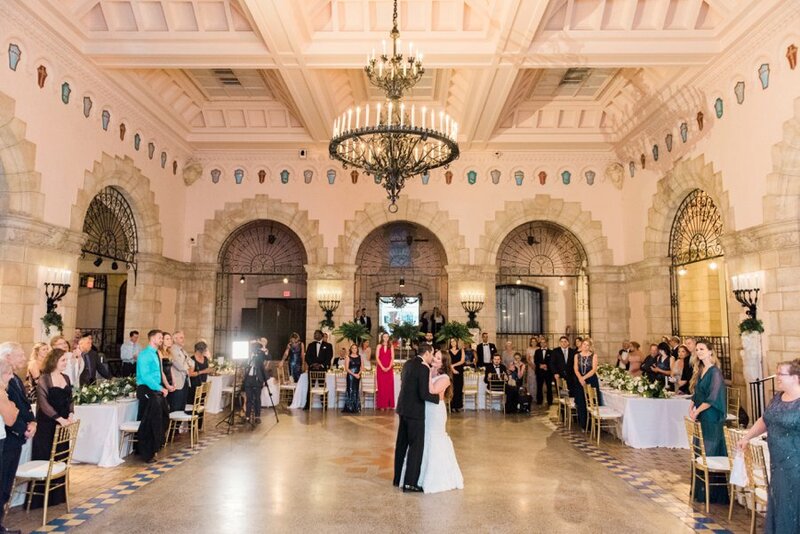 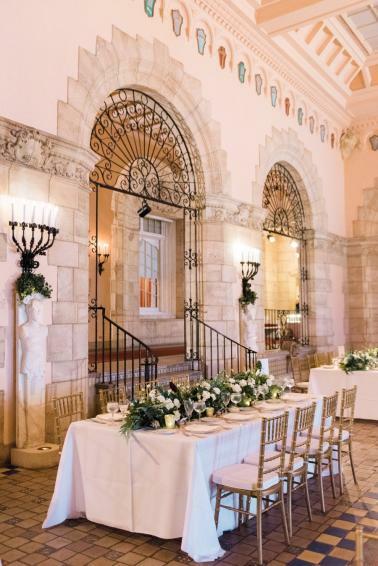 This impeccable navy and green wedding took place at the historic Flagler Museum in Palm Beach with a ceremony at the stunning Royal Poinciana Chapel. 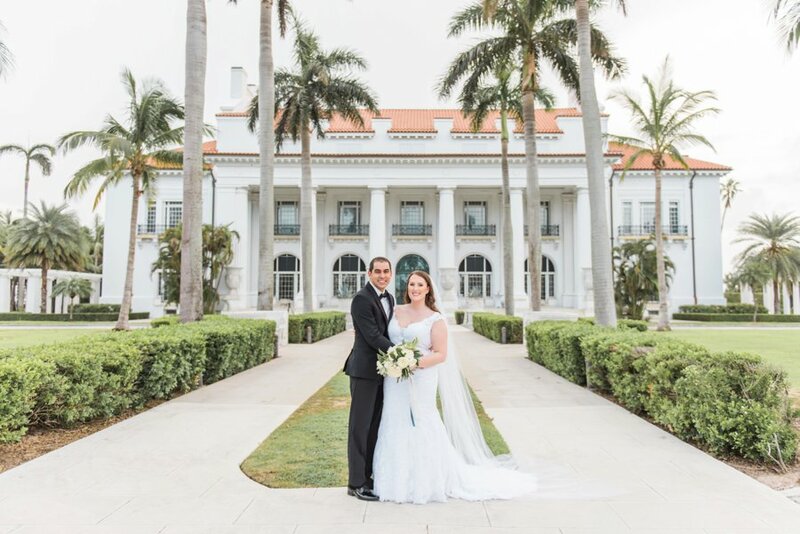 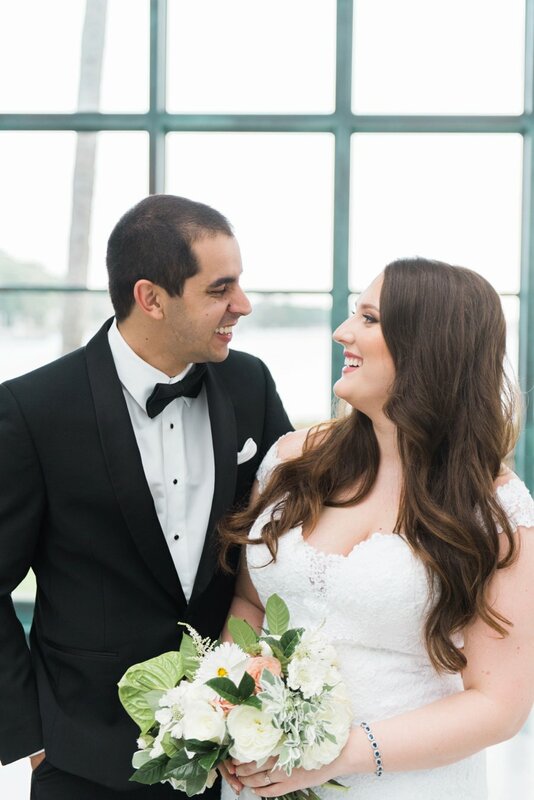 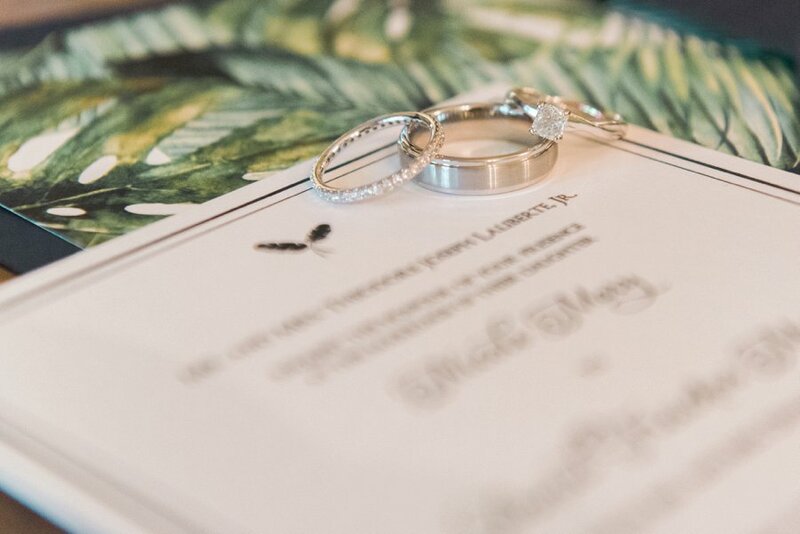 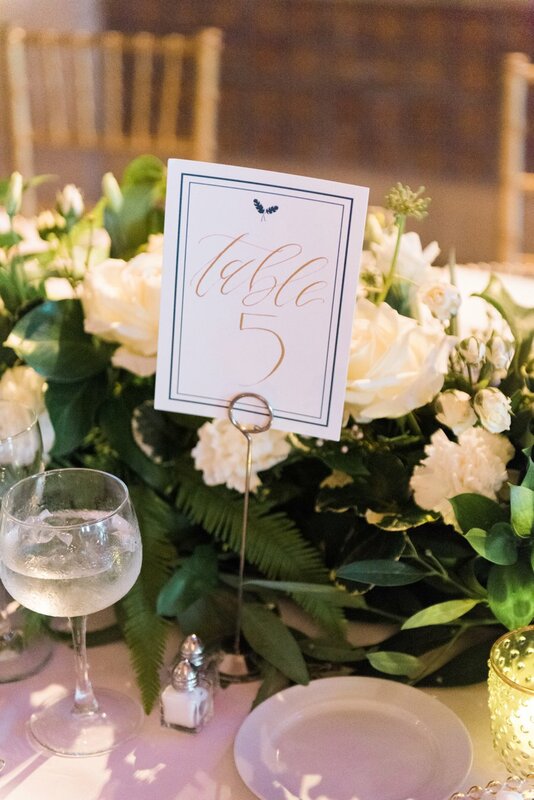 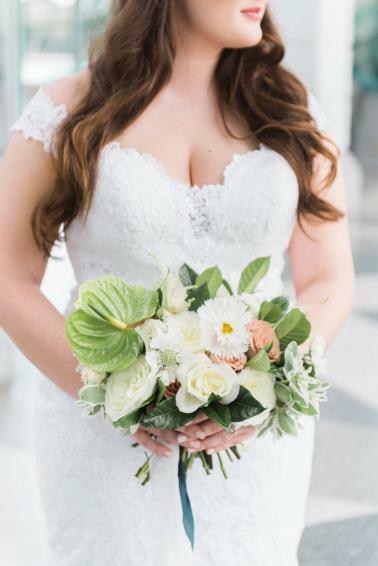 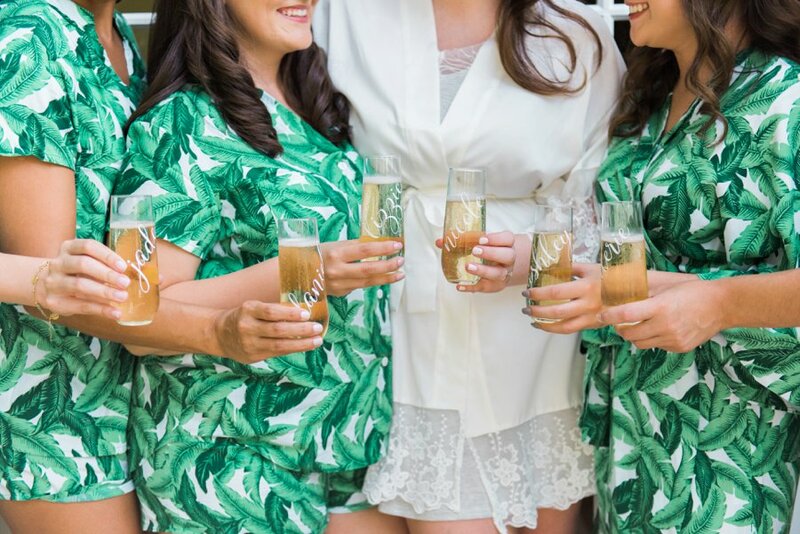 With a fun, tropical flair, Nicole and Daniel’s elegant wedding incorporated leafy greenery and tropical patterns, a perfect fit for their South Florida wedding day. 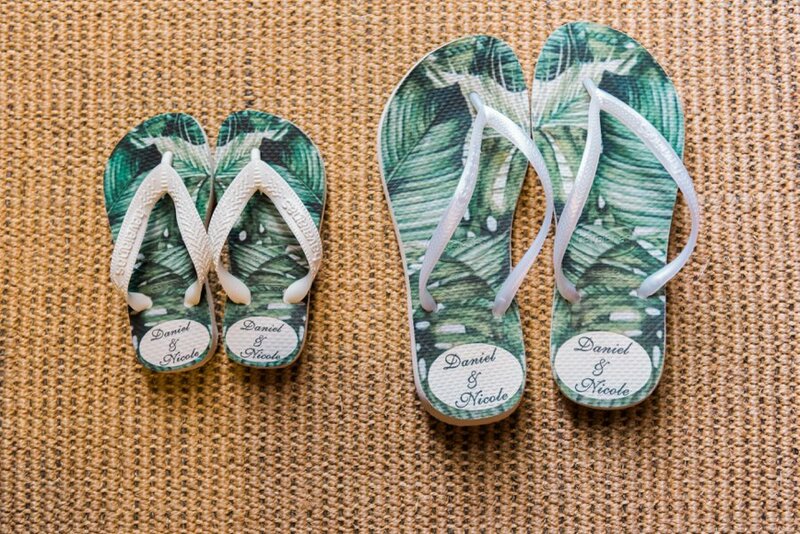 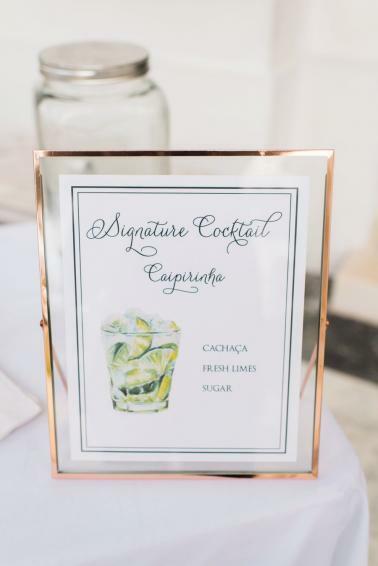 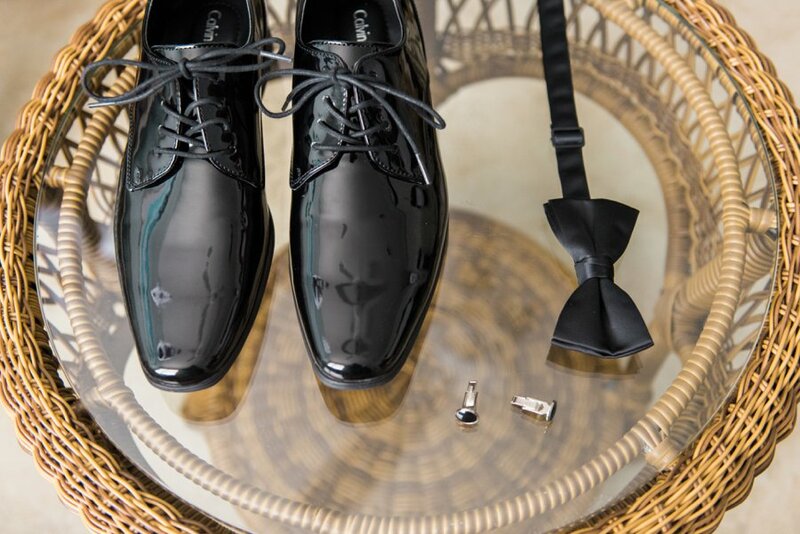 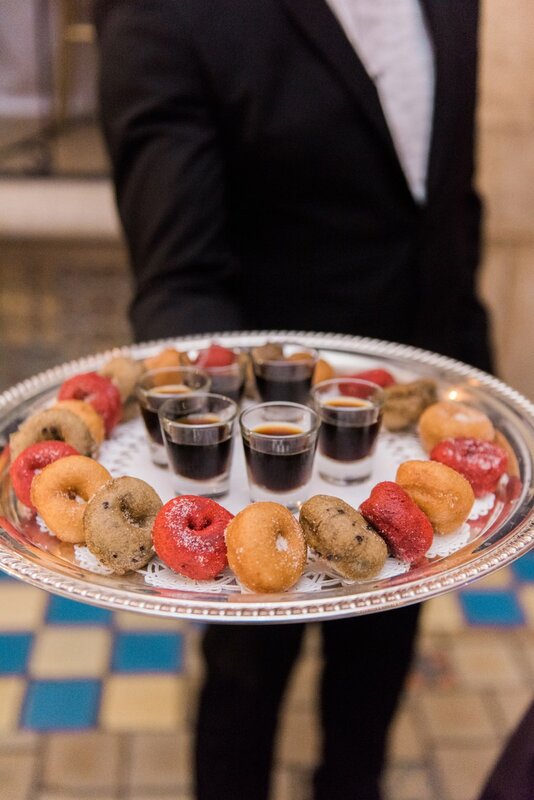 They also added pops of Brazilian tradition as a nod to the groom’s home country. 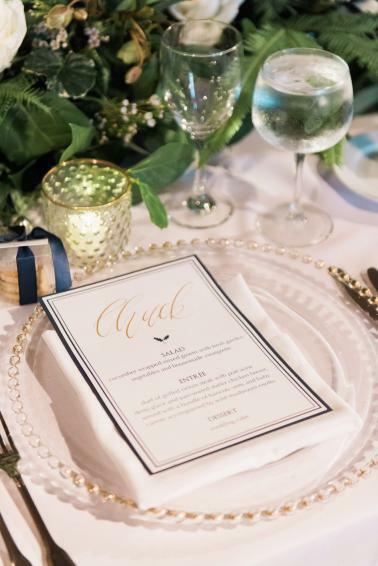 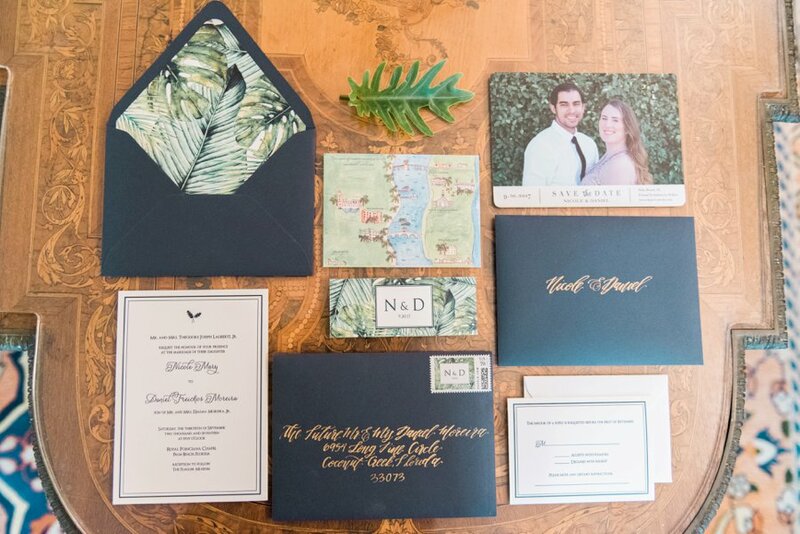 To set the tone of the day, guests received an elegant invitation suite with a watercolor banana leaf envelope liner and a custom map of Palm Beach. 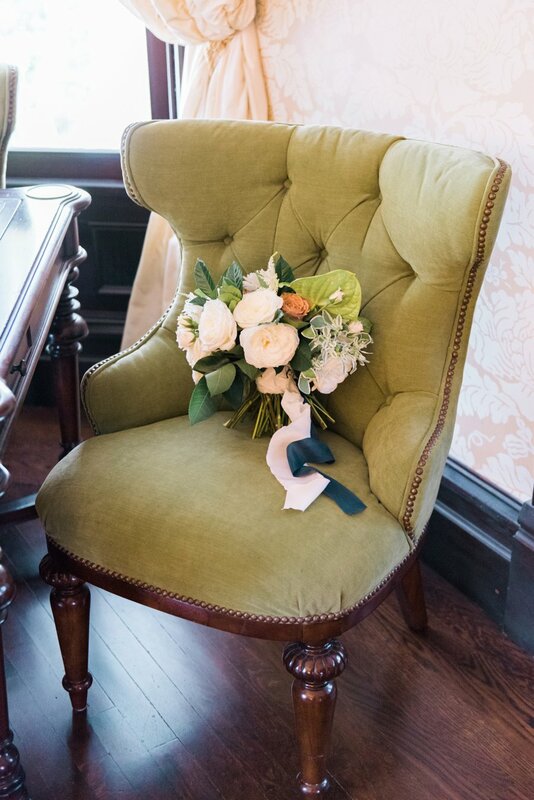 The beautiful design, created by Chirp Paperie, truly set the mood for the day. 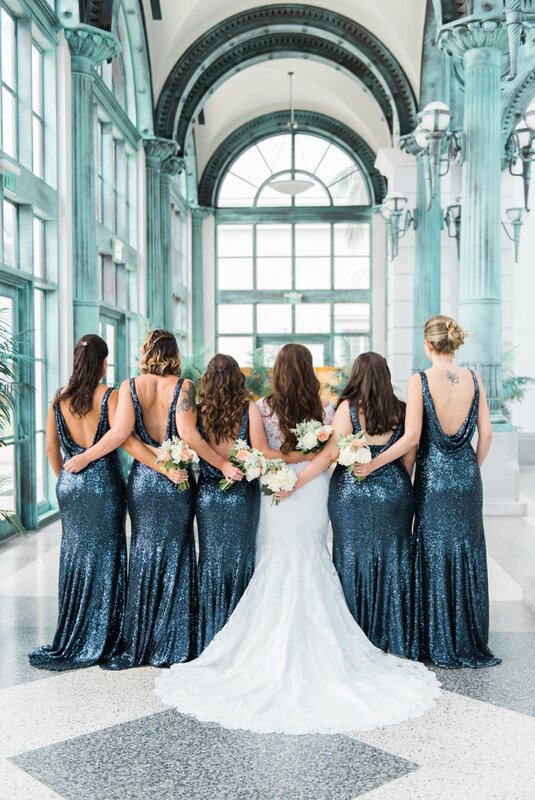 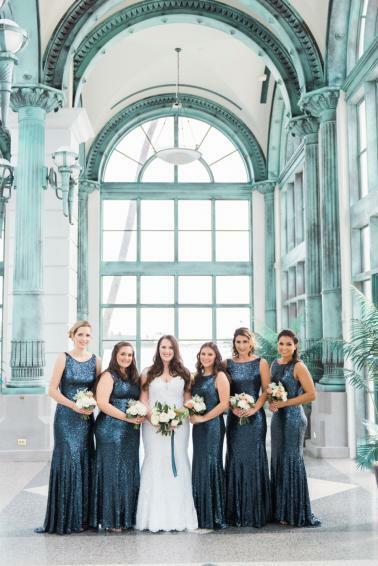 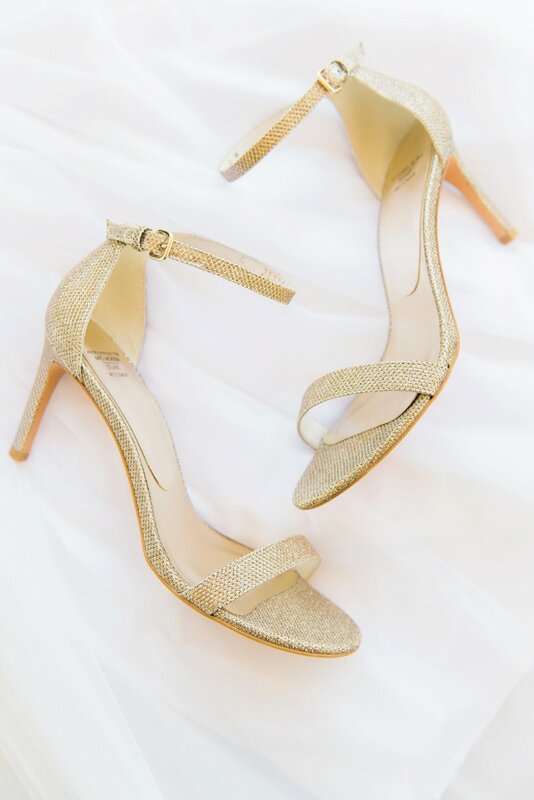 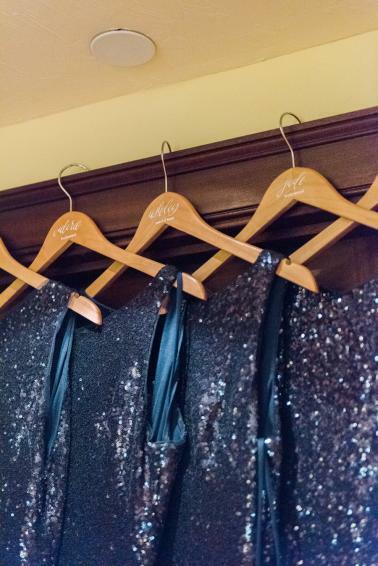 Navy and green tones were carried throughout the design of the day, and we are definitely drooling over the stunning navy sequined dresses that Nicole’s bridesmaids rocked! 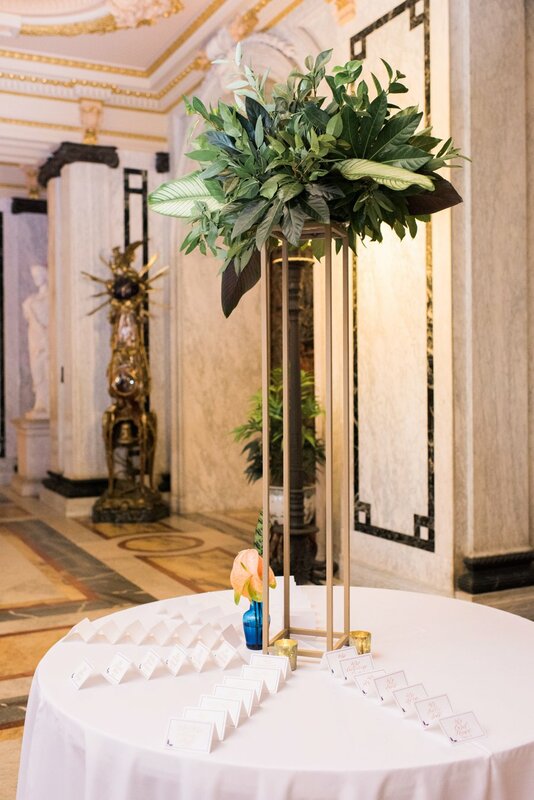 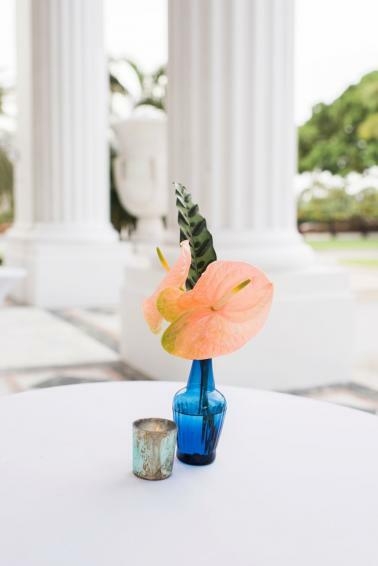 Lush garland and towering greenery centerpieces by Port + Palm Co created a flair for for the tropics, and complimented the rich architecture of the reception space beautifully. 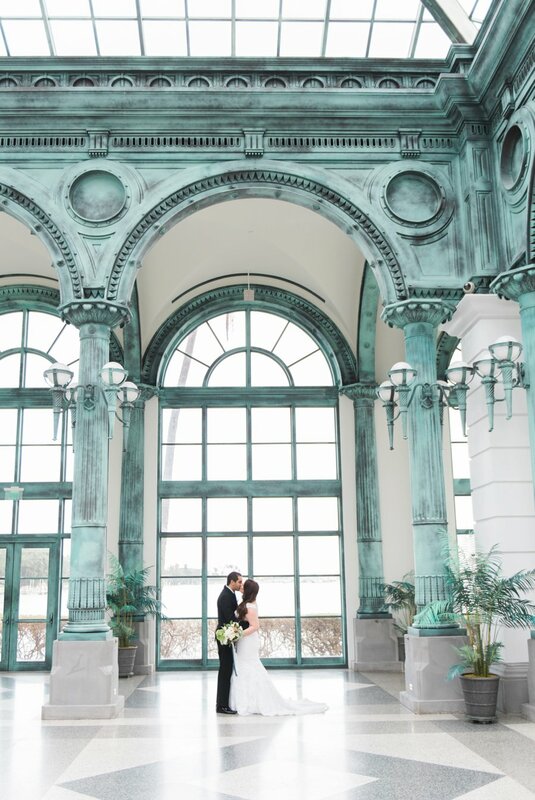 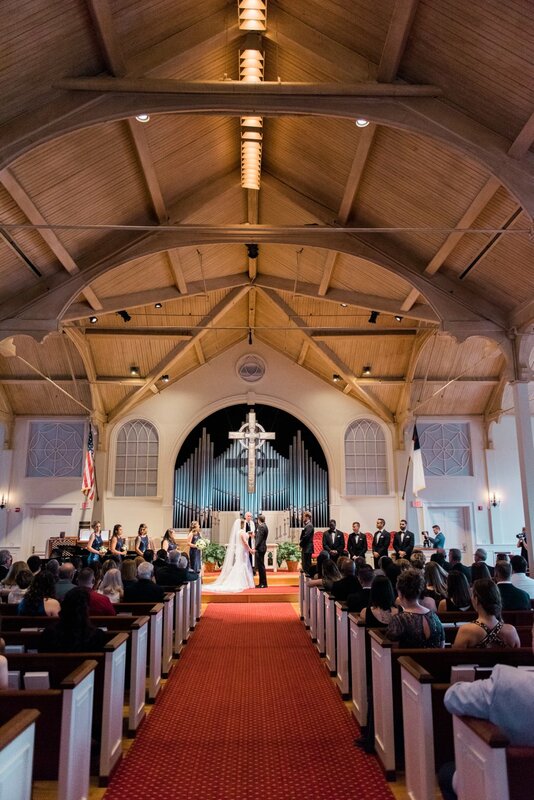 We love every intentional detail that Nicole and Daniel pulled together with the guidance of The Majestic Vision. 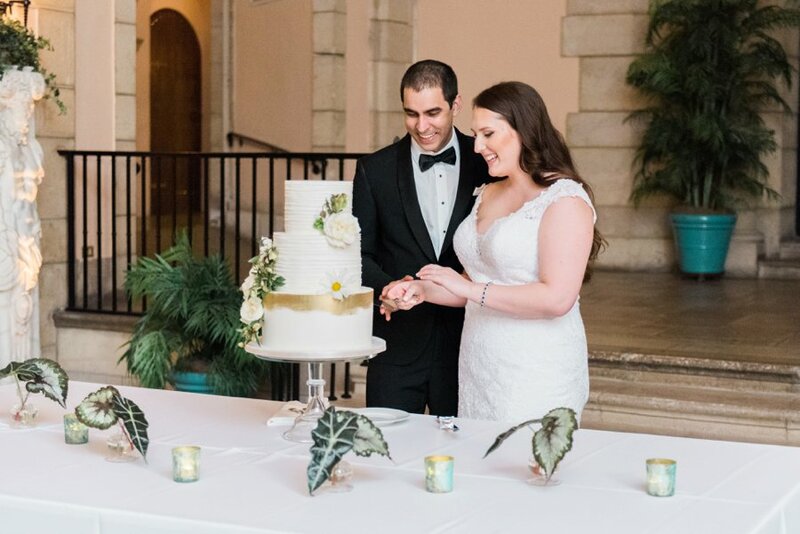 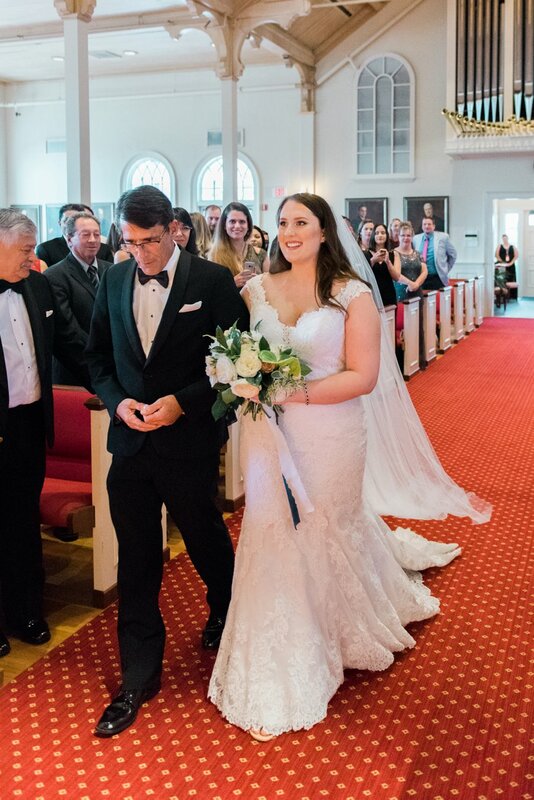 They created a day that was a beautiful celebration of their love, their heritage, and their family and friends, while createing a beautiful and memorable experience for everyone. 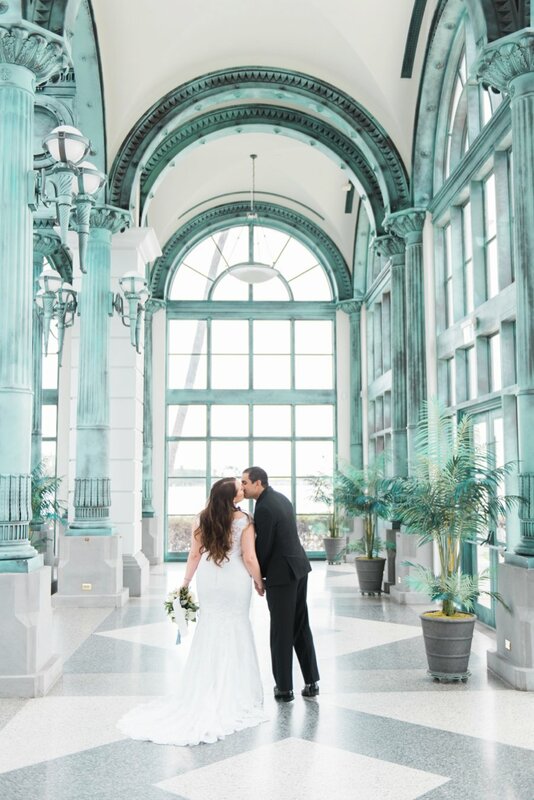 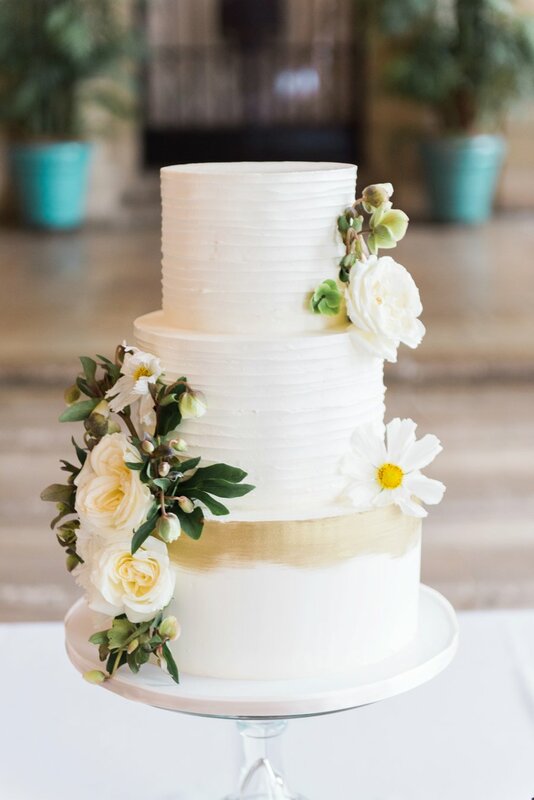 We definitely think you’re going to enjoy the beauty that Shea Christine Photography captured of this sweet couple’s wedding day. 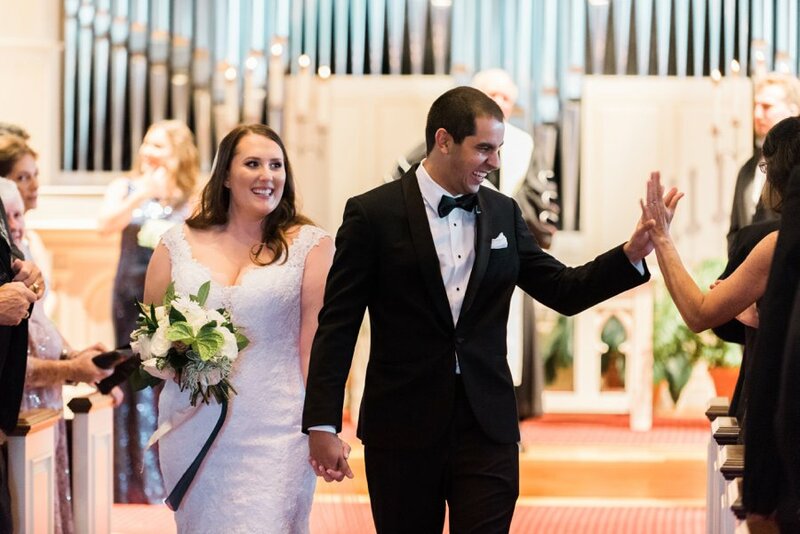 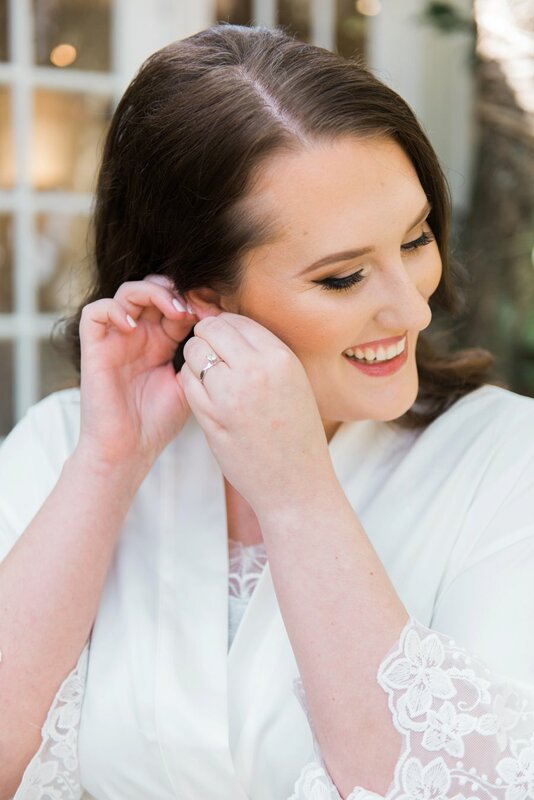 We are also thrilled to share the beautiful video that Anchor Weddings of Nicole and Daniel’s wedding day, which you can see here. 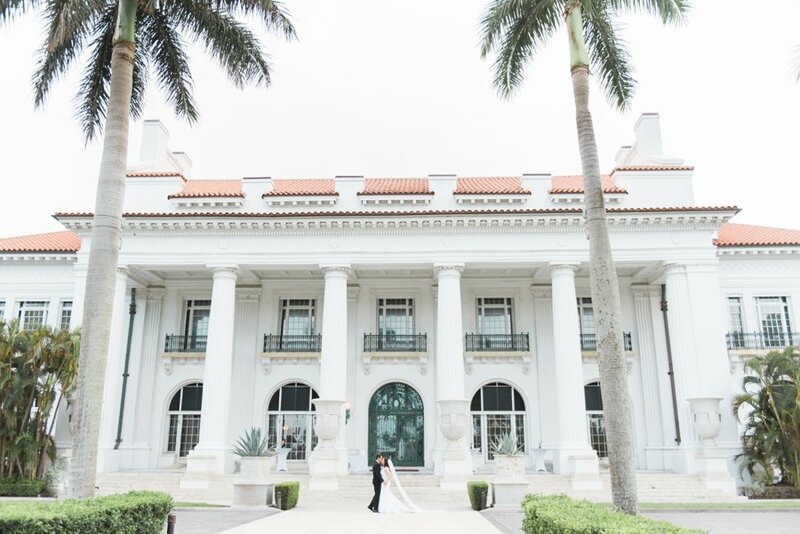 So many sweet details, tropical charm, and an air of elegance that made this couple’s wedding day so exceptional. 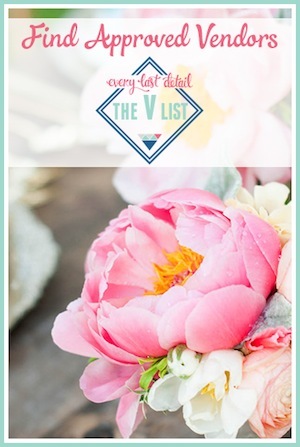 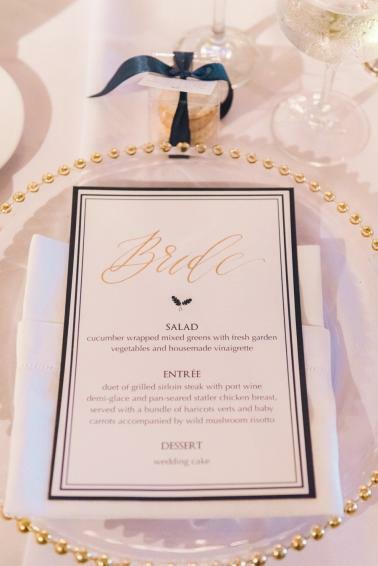 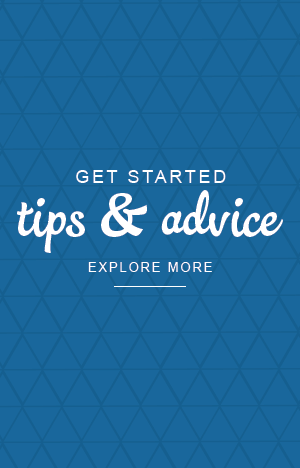 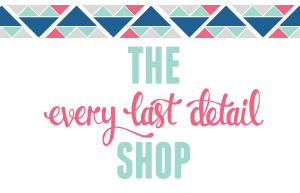 Are their any fun pops of details that you’re planning to incorporate into your wedding day design?